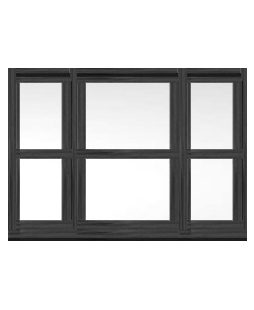 If you want your new Sash Windows to add a modern twist to a traditional design then you need our uPVC Sash Windows in Anthracite Grey. Not only is this colour sleek and stylish, it is unique and can help your property stand out from the crowd. 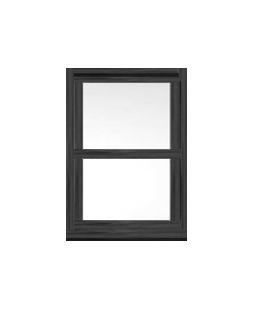 As well as looking great, your new uPVC Sash Windows in Anthracite Grey will also help keep your property safe and secure. 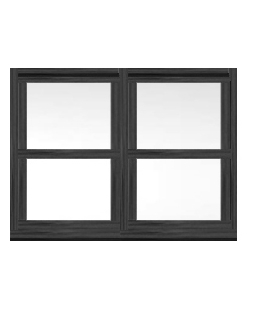 When creating our windows, special safety measures have been put into place to help give you peace of mind that your property is safe. These includes double glazed toughened glass, sash locks and a security bar, all of which stop tools or excessive force being used to gain entry into your home. With a range of styles, privacy glass designs and traditional hardware options also being available for any window, these box Sash Windows can be personalised to suit any property. Our windows come complete with free traditional operating hardware and stylish decorative features that are available in Chrome, Gold, White, Black and Satin Chrome. The maximum height of a sliding Sash Window is 3000mm, with a maximum width of 1600mm. The minimal height and width of these stylish windows is 740mm x 340mm. As with all our doors, our Sash Windows prices are shown for each product.